Mouth and Fin Rot disease is often caused by poor water condition. Usually these symptoms can be characterized by signs of rotting fin with the outer skin layer gradually peeling off. The fins will look whitened, with pale tip and the same thing is observed on the mouth with strands of tissue begin peeling off and appear reddish. The first step towards dealing with these problems is to first check on the water quality. Proliferation of bacteria and parasites is often identified to be the root cause leading to the disease and affected fish will look lethargic and become listless with reduced food appetite. Other than maintaining perfect water condition, there are other approaches one can use to deal with it. One of them is to raise the salt concentration to 0.5% while at the same time apply some antibiotics available from local fish shop. 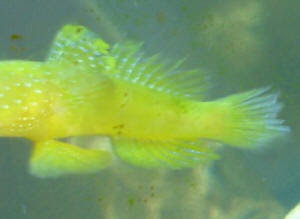 Another form of treatment is to purchase medicated flake food and feed to the fish. If everything is done perfectly and provided that the symptoms are still in the early stage, chances for the fish to recover is very high.